When it comes to something like choosing the right type of lumber for a woodworking project, many do-it-yourself enthusiasts may not be able to tell the differences between the various woods. But as any woodworking expert will tell you, there are many types of wood that are ideally suited to certain projects and poor choices for others. If you’re planning a woodworking project, or hiring the professionals to handle a much more complex job like installing a fence or deck, there are a few things you should take into account when choosing the right type of lumber. Depending on the type of project you’re planning to tackle, you need to ask yourself if it will require hardwood or softwood. For instance, if you’re planning to build a fence or deck, surprisingly, you may want to consider cedar wood. If treated properly, this highly durable wood will easily stand up to the elements and only require maintenance every few years. Note that hardwood tends to be more of a popular choice for furniture. Once you’ve decided on the type of lumber you’re going to use, you’ll need to decide on the grade of wood. Put simply, grading is the quality of different types of wood. When it comes to hardwood, you simply want to go with the highest grade available. Softwood, meanwhile, comes in two grades, construction and remanufacture. From there, it is graded on a scale of one to five with one to three being the best. 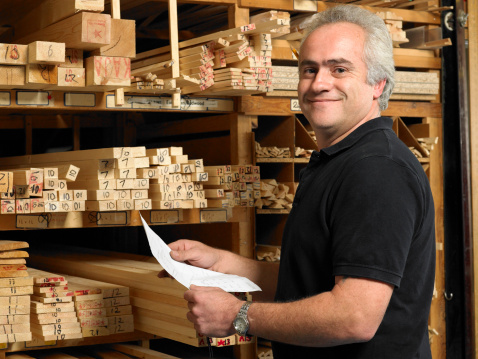 Professional woodworkers always use the type of lumber that is graded between one and three. Something that is universal for all types of wood is that defects can have a negative effect on whatever you’re planning to build, whether it’s furniture or something more elaborate, like a fence or deck. One of the advantages of hiring a professional woodworking company is the type of lumber they use will be free of defects since they know what to look for. However, if you’re planning to tackle a woodworking project by yourself, look out for knots, warping, insect holes, and splits. Most of the time, these defects are easy to spot, but you may still need to look closely to make sure the cedar wood you bought is in good condition. This is probably the most important factor you’re going to need to take into account when taking on a woodworking project. Look at the budget for your project and decide what types of wood you will be able to afford. For instance, while cedar wood is great material for outdoor projects, this type of lumber can be pricey. However, as they say “you get what you pay for,” so if you want quality, you should be ready to spend a bit more. If something like learning the lingo of woodworking to find the type of lumber you’re looking for seems like a daunting prospect, why not leave it up to the professionals? As the leading provider of fence and deck building services in the Greater Toronto Area, Total Fence Inc. can provide you with tips on the different types of wood and take the stress out of your fence or deck building project. 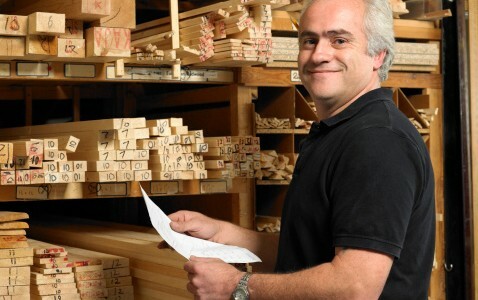 Farnsworth, J., “How to choose lumber for wood working (7 simple steps),” WoodAndShop.com, October 15, 2014; http://woodandshop.com/how-to-choose-lumber-for-woodworking/. Strong, J., “Types of Wood for Woodworking,” For Dummies web site; http://www.dummies.com/how-to/content/types-of-wood-for-woodworking.html, last accessed December 2, 2014. “Woodworking Wood – How to Choose,” Rino’s Woodworking Shop web site, July 14, 2009; http://www.rinoswoodworking.com/blog/woodworking-wood-how-to-choose/.